biIt was nearly 10 years ago that I bought my first E28: a polaris silver 528e, for a total of $400. It was far from love at first sight - in fact, I bought it only to satisfy the sense of need I felt after finding a BMW that seemed far too cheap to pass up. I sold it quickly thereafter, and it wasn't until more than a year later that the E28's allure began to grab hold of me. I spotted a black 535i on the forums, in need of a new home, and after no more than a day or two of deliberation, I pulled the trigger, and it's a car I still own to this day, in some form or another: "Rusty Slammington." Rusty hardly resembles its original form, and in many ways, it's for the best. However, over the past decade, my love for the 1980s 5-series sedan has only grown, and in truth, it's surpassed the point of obsession. 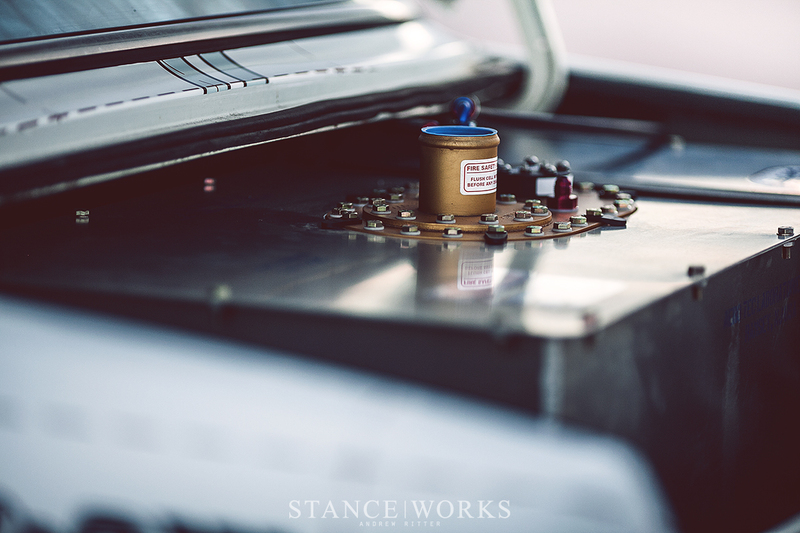 While Rusty satisfied my desire as a builder to create something unlike anything else, it does little in the way of embracing what I love about the E28 itself. After more than a year of dreaming, planning, and 3 rapid months of execution, I'm excited to share my latest build: an FIA Group A-inspired M5 tribute - a car that never was, but one that represents almost every facet of what makes my passion for the E28, and more importantly, BMW, unmatched. BMW's racing history is beyond rich: legends like the E9 CSL and the M1 make for incredible spectacles that rule historic races around the world. The E30 M3 holds a special place in the heart of those who grew up around them, and even the E24 635CSi had managed to accrue a remarkable history of its own. 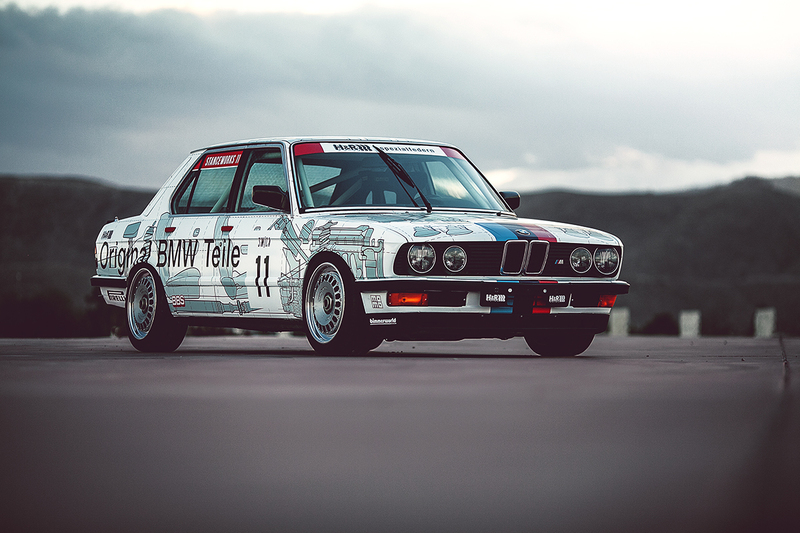 The E28 5-series, on the other hand, is a far cry from what comes to mind for most when the subject of BMW's motorsport history is brought to the table. 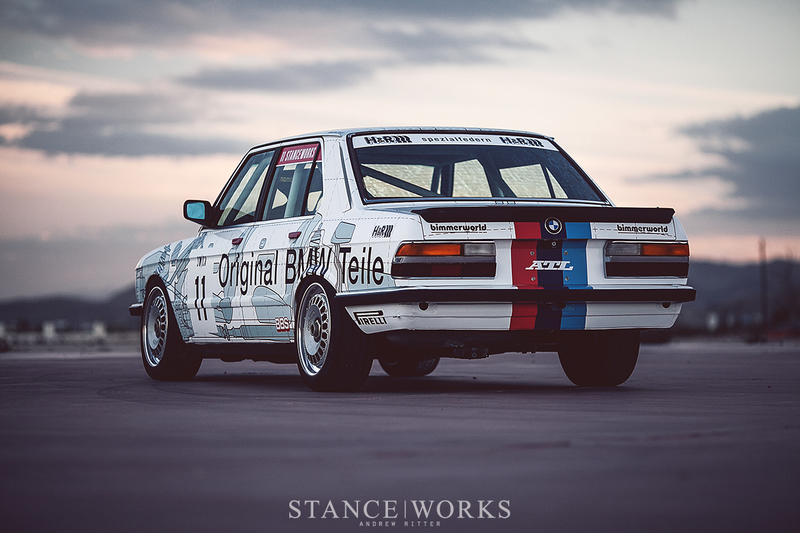 Unbeknownst to many, however, is that the E28 was in fact, raced competitively. The M30-powered 528i was used for a single year during the period between the E9's retirement and the E24's introduction to the racing circuit as a factory works car. In 1982, some 20-or-so factory BMW E28 race cars were built, contracted and assembled by Eggenberger in FIA Group A-spec for use in races such as the European Touring Car Championship. Maintaining an incredible level of similarity to their road-going counterparts, the chassis were pulled directly from the production line, just prior to the application of sound deadening and undercoating. Inside and out, little changed to the cars; their panels and bodywork remained untouched, and even the powerplant received only minor adjustments, such as a .6mm overbore and a hotter cam. Factory engine management and a close ratio gearbox made for a tame and familiar driveline, and even the suspension components were closely related to the layman's version of the car. The car was competitive too, taking home the ETCC championship in the lone year it was raced. For me, these 20-some examples represent not only the rarest of the E28 lineage, but also the best: pure and ultimately refined to do what BMWs were made for: racing. With that said, the opportunity to own one of the originals is slim to none, with perhaps just one remaining in existence today. Taking that to heart, I decided the next-best option was to build my own, and so I did. It was important to me to build a car that was true, in spirit, to the originals, while improving where I could, and making the best of what the E28 had to offer. With the 1982 FIA rulebook in hand, things like the FIA-spec roll cage and the 120-liter touring-spec ATL fuel cell were easy to nail down and keep within spec of the factory racers. Original centerlock hubs, on the other hand, are worth their weight in gold, and the original 2.8-liter M30 left a bit to be desired, even in race trim. There was some give-and-take with the build as a whole, but in all, the pieces come together to form what I think can be considered as the best-intentioned tribute possible. 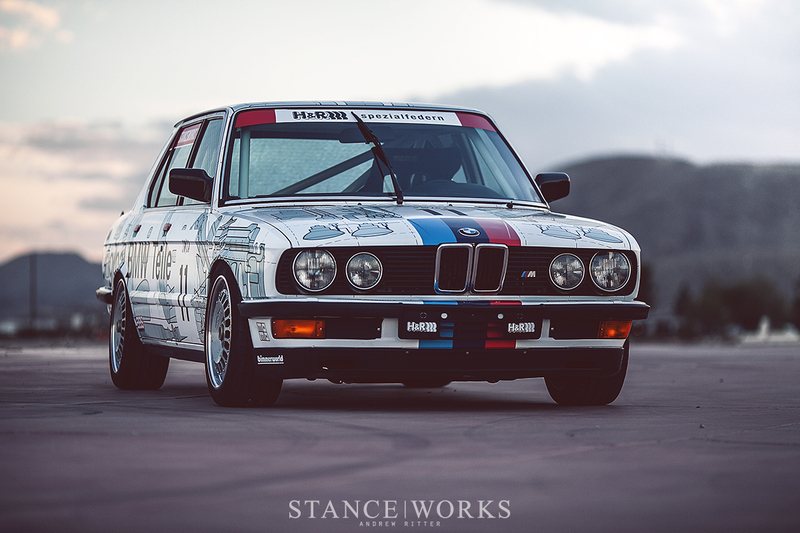 Luckily for me, the team at H&R Suspension shared the vision, eager to bring the build to life by building the perfect underpinnings to a period-correct E28 race car. Beginning with an early chassis E28 for the sake of loose authenticity, I snagged a local 533i, of course clad in Alpine White. Not in running condition, the driveline was unimportant with the goals I had in mind. Within days of purchase, I had the car torn down, and not long after, H&R's team was underway, doing what they do best. A complete adjustable coilover setup serves as the centerpiece of the suspension, and one-off 30mm front and 25mm rear sway bars, along with custom reinforced mounts, compliment the underside of the car unlike anything else on the market. 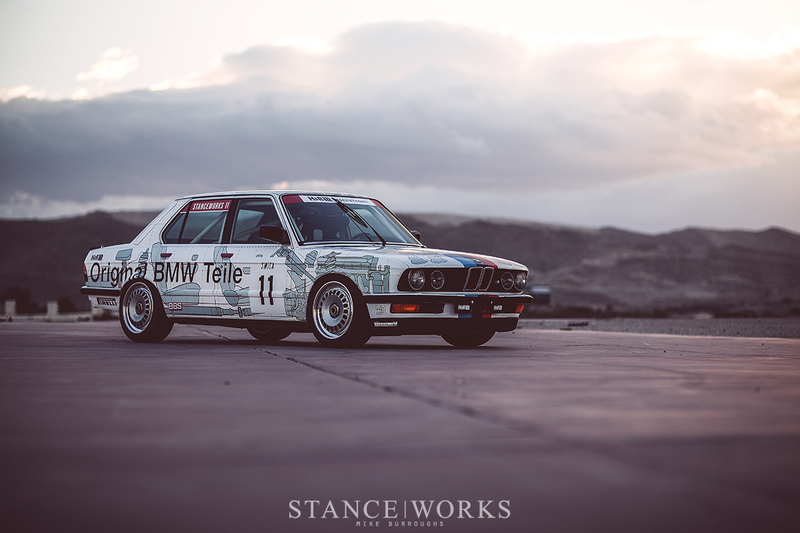 Together, we aimed to build the best-handling E28 we could, while retaining everything that makes for a streetable, comfortable, and most importantly, drivable car. 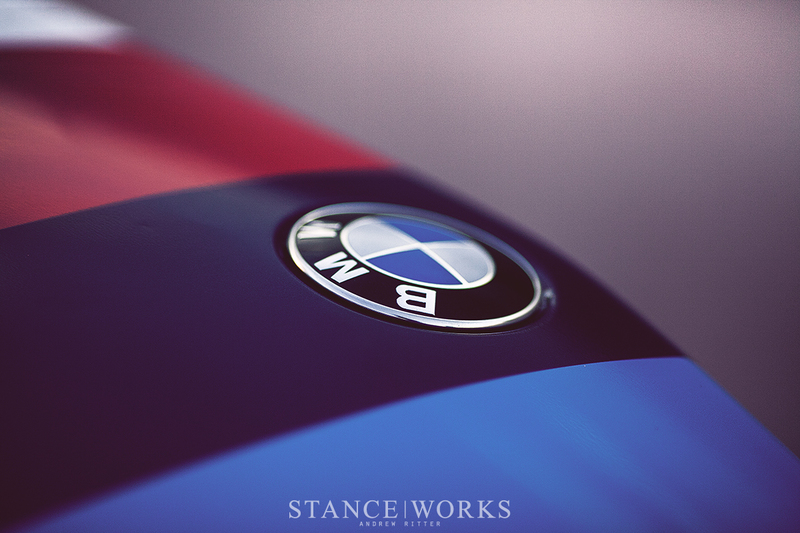 With the primary suspension components taken care of, I turned to BimmerWorld, known for their expertise in assembling cars meant for both the road and the track. With a huge number of parts and pieces needed to bring the running gear of my E28 back to new, they were an obvious choice for a partner. Lastly, to round out the rolling equipment, BBS joined on board to bring the Ronal Racing splits, which use factory BBS hardware, back to life. As it sits today, nothing underneath the car remains untouched: complimenting the H&R coilovers and sway bars, all of the suspension's components and bushings have been replaced. Powerflex black race bushings replace every factory counterpart, and aluminum E31 lower control arms are paired with new factory E28 upper control arms, tie rods, steering components, and more. Fresh bearings, hubs, and hardware keep things rolling smoothly. 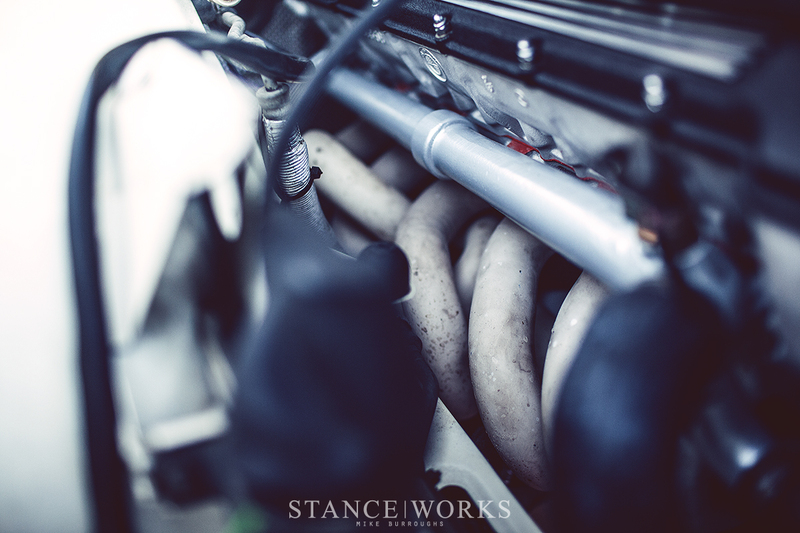 The rear subframe was modified for camber and toe adjustment, and mounted to it is an E30 M3 4.10 limited-slip differential. Adjustable sway bar links front and rear allow for fine-tuning, as do adjustable camber/caster plates at the front end. E34 540i brakes add lots of stopping power to the front end, and E32 750iL rear brakes keep things balanced. While not an M5 by VIN, the car is an M5 by all other counts. 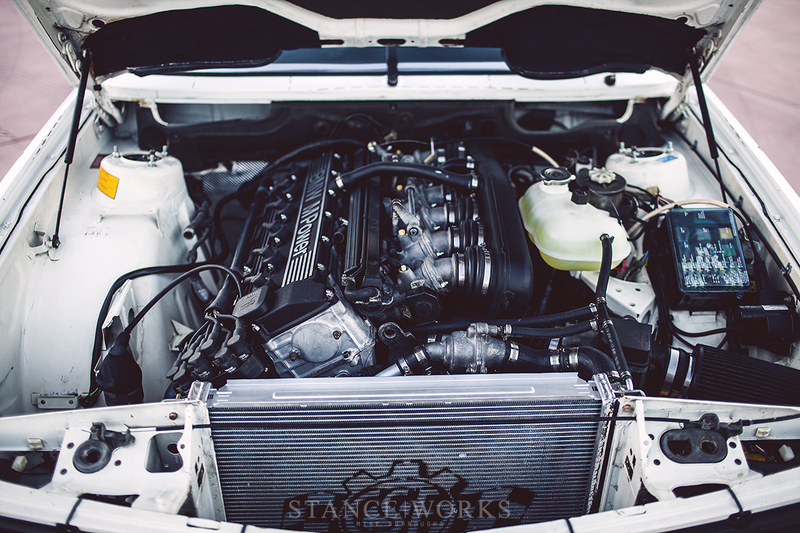 Under the hood, a complete E28 M5 driveline was rebuilt and installed, with an aim to give the E28 the best the chassis had to offer. The S38B35 retains all of its factory internals, with some goodies such as euro headers and a JB racing 8.5-lb flywheel mated to the tail end. The Getrag G280 transmission routes the power to the rear end, and keeps things in the spirit of an almost-homologated race car. Inside the car, more time than I'd like to admit was spent stripping, cleaning, and prepping the sheet metal for fresh alpine white paint. After working with my friend Riley Stair to produce a by-the-rules FIA-spec roll cage, Cory Hutchison was let loose on the paint gun. 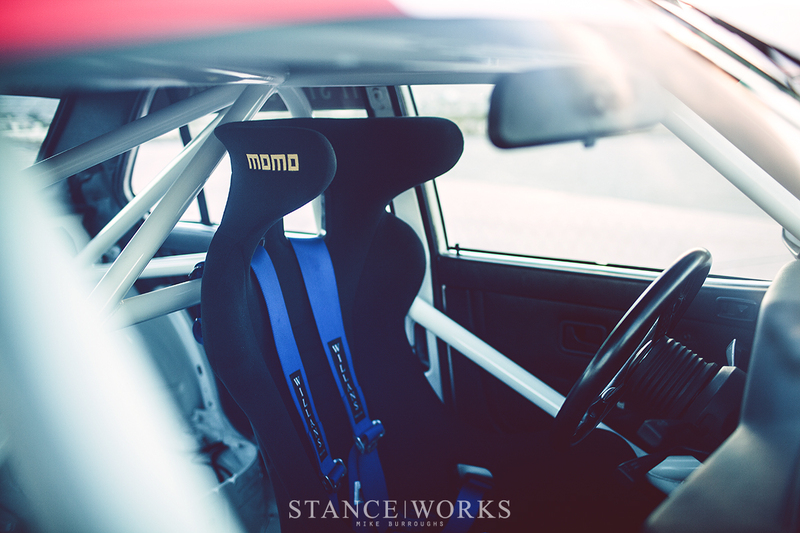 A Momo Daytona seat, a classic blue Willians harness, and the factory dash paired with a Momo Futura steering wheel are almost all that remain of the car's insides. 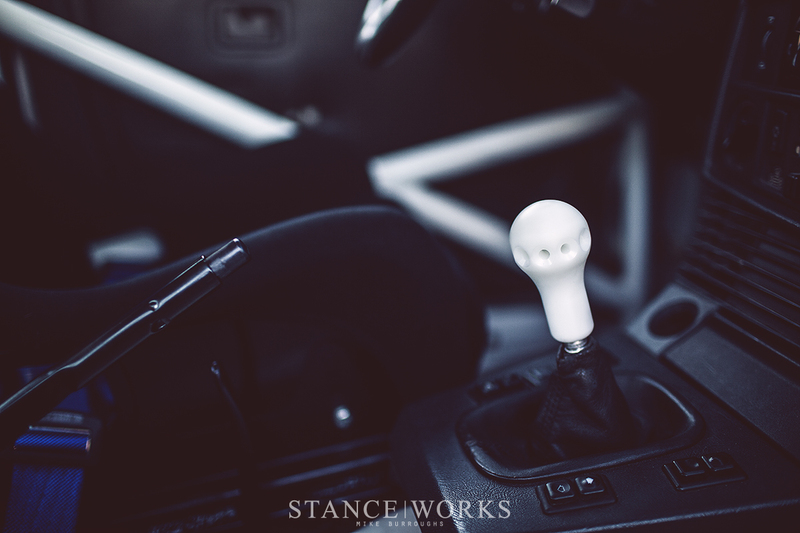 A custom short shift kit hides behind the factory shift boot, and perched atop it is a Rennstall RSKT2 shift knob, adding to the few "amenities" that remain. The wheels, of course, act as a focal point: original Ronal Racing splits, as run on the original Group A E28s and E24s. It was important to keep the wheels of the car as accurate as possible, and after sourcing a set used on an original race car, no other option seemed fitting. BBS wheels have been an integral part of every build in my past, and despite the Ronal namesake, this time is no different. Utilizing BBS Motorsport hardware, the wheels were rebuilt to fit modern tire choices: this time, 225/45 Pirelli P Zero Trofeo Rs. Mounting the wheels proved challenging, too: original centerlock hubs prove all but impossible to find, and thus, Precision Engineering joined in to help produce a one-off set for my tribute build. While the wheels are impossible to ignore, it's perhaps the livery that takes the glory. The mid-1980s E24 factory race cars sported a similar livery, which showcased the car's internals and celebrated BMW's engineering prowess. 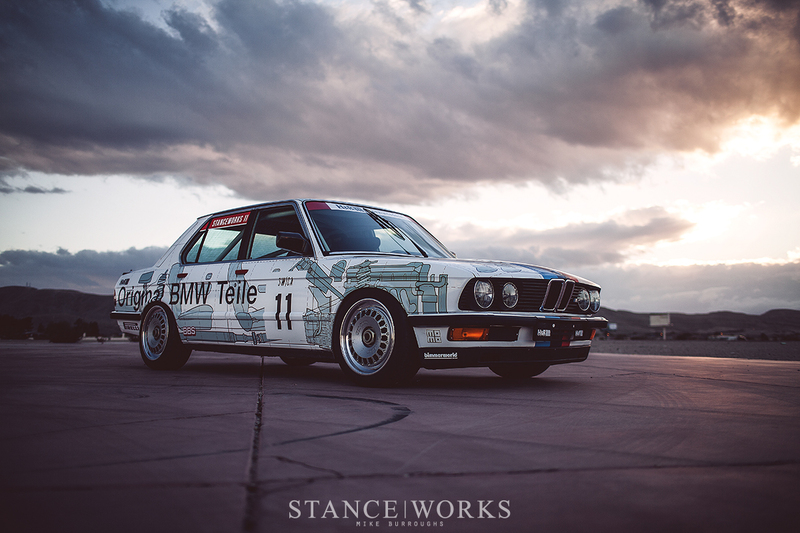 Wanting to embrace one of my all-time favorite liveries while ensuring a touch of individuality, I had the other half of StanceWorks, Andrew Ritter, put pen to paper. 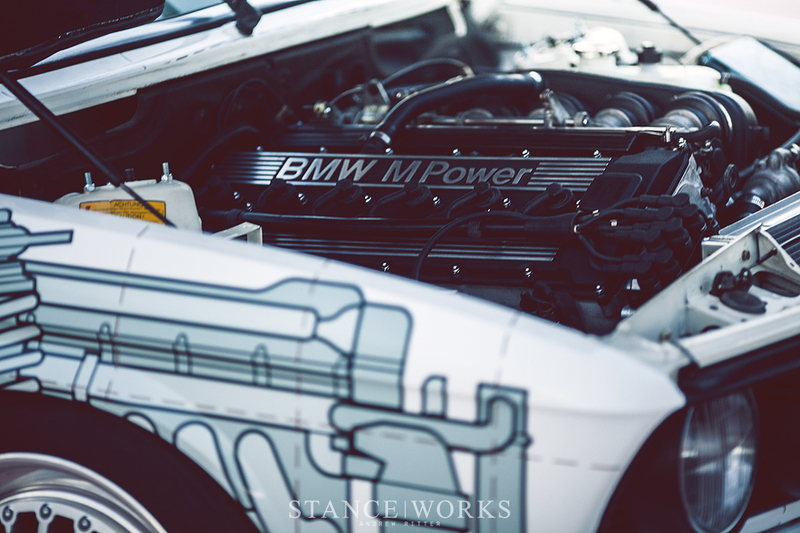 With the graphics depicting accurate E28 M5 underpinnings, and utilizing the same style, colorway, and aesthetic that makes the 635CSi so unique, my iteration pays tribute as a "sister car that never was." WrapWorks helped to bring the vision to life, applying the livery in record time just days ago. After 3 incredibly busy months of long days and late nights, the build is complete and ready to pay tribute to one of BMW's least-known heroes, both on the street, and on track. Be sure to check out the car and all of its details at the H&R Suspension booth at SEMA 2016. We hope to see you there! Love it!! My 1st BMW (and the one that started the obsession) was a 1986 E28 528e 5spd manual. Silver with dark blue leather. Loved that car. the 1st car i modified past just wheels. Perfection! I love to see these “theme” built cars, and to go the extra mile with the S38B35 really puts the icing on the cake. Oh, and you need to contact the editor and have them change the S35B35 to S38B35. Cheers Mike! Amazing build. Exactly the type of car I’d love to bomb around town in. How many M5s have Mike? Another incredible build, Mike & team! like Irene answered I’m in shock that a mom can make $5437 in a few weeks on the internet . 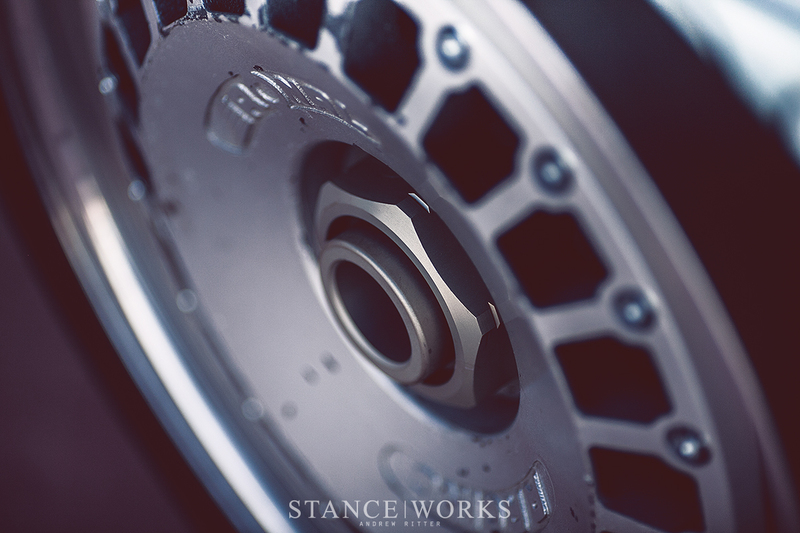 What are the wheel dimensions and offsets if you dont mind mike…because that stance looks dope!